Pulling up just before sunrise at the Salton Sea, California’s biggest lake, is an almost surreal experience. At this time of day it’s eerily quiet; just the sound of water, a few desolate cries of waking birds and the sound of our Polaroid cameras. Abandoned and partially destroyed mobile homes, a chair in the water, a lone boot, a pink sink and a BBQ are just some of the things lying around. It makes you wonder what happened here. At the beginning of the 20th century, as farmers set up shop in the hot desert climate of the Imperial Valley, they needed to tap into the Colorado River to irrigate their crops. To enable this, the California Development Company dredged two intake gorges without the use of floodgates. However, in the summer of 1904, the flow of water stopped as the intakes became clogged with silt deposits from the Colorado River. Another intake gorge was created. Once again a floodgate was omitted. In 1905, these human engineering errors allowed saline water to be carried from a flooded Colorado River into the Salton Sink area, thus creating the present-day Salton Sea. 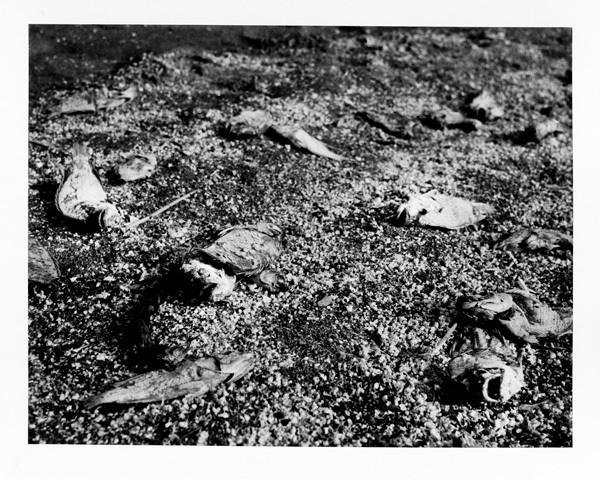 But the Salton Sea is not just a story about the repeated failures of a human endeavour to control nature for human needs. After the Sea’s creation, the area enjoyed a few decades as a tourism resort and felt a boom in recreational fishing. But that was only until the increased salinity and pollution (agricultural drainage, urban runoff, and waste water flows/storm run-off) killed off most fish species, leaving the strange wasteland you see pictured here. As a closed drainage basin that receives only inflows, the Salton Sea has become saltier and saltier every year. This has made it harder and harder for the Sea’s incredible biodiversity of land and water life, including a plethora of migrating bird species, to survive. While the Salton Sea may be a well known example (at least in North America) of ecosystem decline, there are surely hundreds of other such sites across the world where ecosystem nightmares have resulted from humankind’s rush to develop short-term solutions to harvest food or energy. The scale of the Salton Sea’s problems are dwarfed by what is happening to the area where China’s infamous Three Gorges Dam project is currently being constructed. Beyond the social impacts faced by the 1.2 million people displaced by the project, Chinese and foreign experts have expressed serious concerns about the possibilities of landslides, waterborne diseases and significant biodiversity loss. In one smaller-scale example, in the Mexican state of Oaxaca, the concrete bases of wind turbines have hindered the natural flow and drainage of water and are causing farmers’ crops to flood. Engineers here have predicted that the local water table could eventually dry up, leaving the land unsuitable for planting. As this photo-essay shows, humankind’s ability to transform the environment can have devastating and long-lasting consequences. We can only demand that the incredible influence our species has also be used to rejuvenate and restore ecosystems to what they should be. After decades, there is finally a ray of hope for the Salton Sea. While the California Legislature “has not yet taken any action to approve or reject” any restoration of the Salton Sea ecosystem, the departments of Fish and Game and Water Resources say they have begun an interim Species Conservation Habitat Project. According to an environmental program manager for the Department of Fish and Game, the project will consist of about 2,400 acres of interconnected ponds and construction is scheduled to begin at the end of 2011. 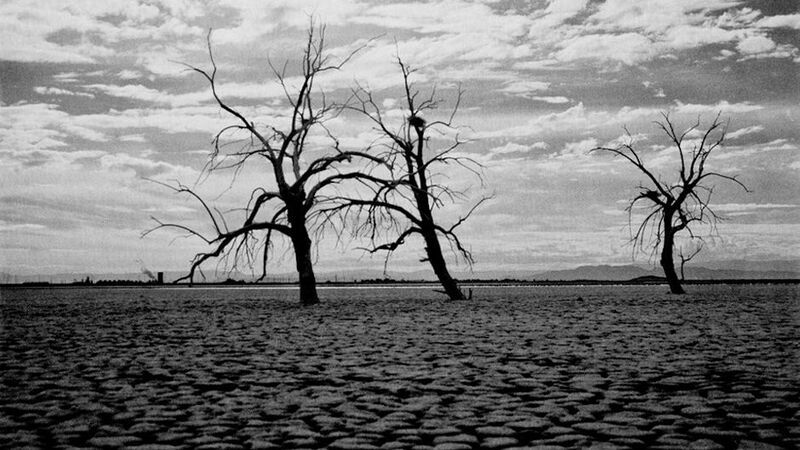 Regardless, we should collectively ask ourselves whether the price of progress should be extracted from places like the Salton Sea. Is there a bearable margin of ecosystem wreckage inherent to feeding and powering the world? What Happened Here, At The Salton Sea? by Nathalie Farigu is licensed under a Creative Commons Attribution-NonCommercial-ShareAlike 3.0 Unported License. Nathalie Farigu is a Netherlands-based photographer. She specializes in social documentary, travel photography and environmental portraits. 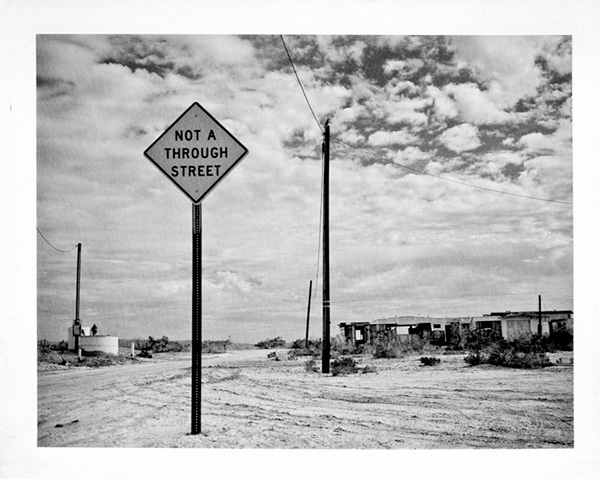 Her work has been exhibited in Los Angeles and Toronto. She is currently involved as a photographer/editor with Tokyo-based Magnesium Agency. Excellent work, photography and writing both. Looking forward to seeing more stuff like this in the future. Also, anyone interested in reading about the history of environmental change over the last century might want to check out Something New Under the Sun. What a sad, sad state of affairs. If the government was looking for ways to productively spend money in the name of “economic recovery,” they completely missed the boat here. Big surprise. it is said that crows still live there and eat the dead fish. It’s sad that what happend there went to waste. It was 60 years ago. I have lived and worked in the town of Desert Shores and, although I had a great time there, I’m not sure the place is repairable. There are some residents that just don’t care enough about the place to help. Just saw a movie called Highway Dragnet, filmed in 1954. 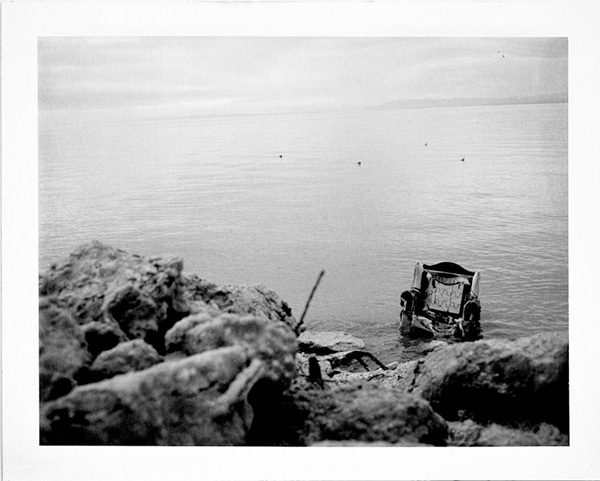 The ending was at the Salton Sea. Plenty of water back then.